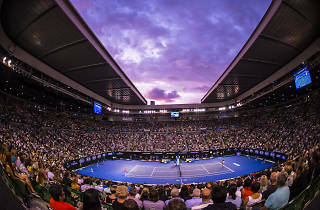 Every year, thousands head to Melbourne Park to watch the superstars of tennis battle it out in the fierce summer heat. 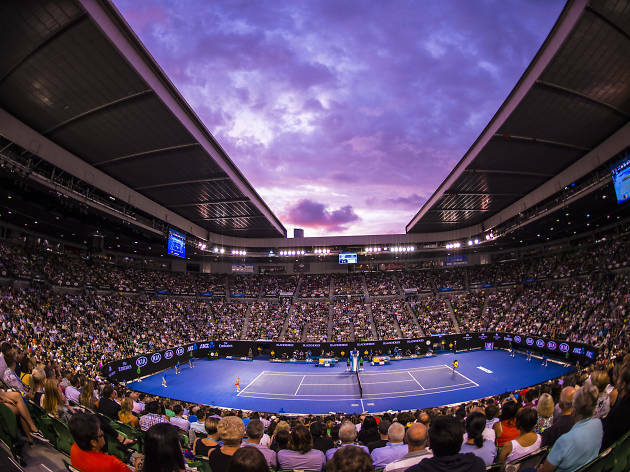 Despite the heatwaves that occur regularly during the event (temperatures of 35 degrees or higher are common) the Australian Open continues to attract the world's best tennis players and their fans for the southern hemisphere's only Grand Slam tournament. Even if you don’t make it into the arena, Birrarung Marr will buzz with live entertainment and food stalls at the Australian Open Festival, where live screenings of matches will be played on big screens. The AO Live Stage also features a series of live performances by some amazing home-grown acts. This year will include Craig David, Angus and Julia Stone, Jet, Ballpark Music and more taking to the stage. Read about it here. World-famous chefs are serving up good times and delicious fare at the AO Chef Series, and Italy's number one pasta brand, Barilla, has a custom-built pasta restaurant just outside Rod Laver. Haircare and skincare partner Garnier has created a "nature-inspired playground" which you can find in Melbourne Park. Expect anything from a hedge maze to a bubble-blowing see-saw and ball pit. CBD pub Garden State Hotel has paired up with Mr Miyagi for a pop-up bar serving fun cocktails, beer, cider and wine, as well as Japanese eats like fried shiitake dumplings, coconut chicken salad, and fried prawn and ginger dumplings. Tickets for the Australian Open start at only $49. Click the 'buy tickets' button above to get yours.